Epic RT is The Next Generation Full CNC Rotary Transfer Machining Solution integrated into this machine is an Embedded Motion Control System where the hydraulic servo valve and control devises are mounted directly on the tool-spindle unit. 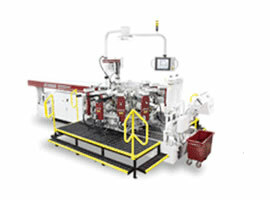 The EPIC R/T’s flexibility is ideal for job shops running smaller lot sizes. 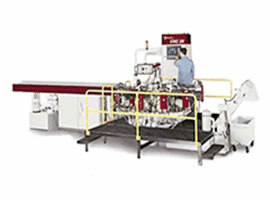 The Hydromat AT 6-100 is a design best described as four mini vertical turning lathes in one. With spindle speeds up to 5,000 rpm and 50,000 rpm live tools, this machine is ideal for small intricate parts. The Inline Standard-8 is equipped with 8 double chucks and transport arms for moving the part from station to station. 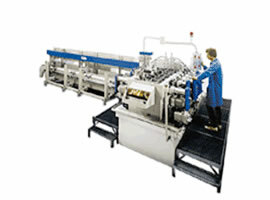 The machine is capable of machining from bar stock up to 1″ diameter. Long turning operations, recessing in the center of the part, or special contours can be generated by a pickup and revolving station. A cross slide unit works from the vertical position generates the desired OD. The HS Indexing Chuck machine combines precision chucks with the indexing accuracy and reliability of the Hirth ring. 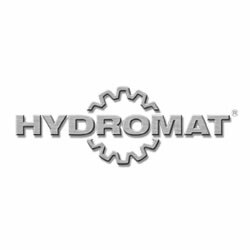 Available in 12 or 16 station models, the HS is fully integrated into the Hydromat program, so the same modular components used with Hydromat’s popular rotary transfer models are compatible with the HS machine. The HS machine has the ability to be equipped with indexing chucks at all stations. 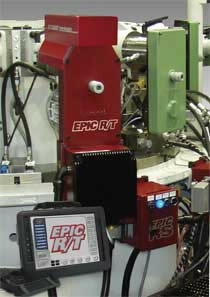 The EPIC RS consists of a control unit for a single EPIC Toolspindle and a compact tablet computer, offering users the advantage of EPIC EMC (Embedded Motion Control) Technology on machines that previously could not be added to a Legacy Hydromat machine. The Legacy Hydromat’s control remains intact and works as before. 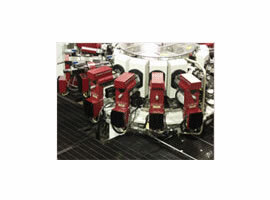 The EPIC RS is ideal for adding one to three EPIC Units on one machine or a number of units on several machines. The new EPIC SS (System Six) connects up to six EPIC CNC toolspindle units on one Legacy Hydromat machine. The compact and robust ICON 6-250 production center fulfills the most complex tasks for the production of precision parts – up to a cube size of 250 x 250 x 250mm. 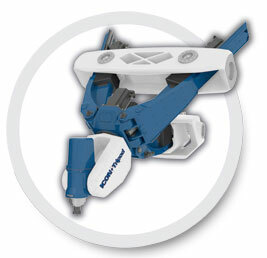 The unique design of the ICON is a “State of the Art” machining center of robust construction, extreme accuracy, and unrivaled productivity. In one-half second the powerful water-cooled CNC spindle motors accelerate to 12,000 rpm as the tools plunge into the material at all four machining positions simultaneously, handling heavy machining cuts with ease. 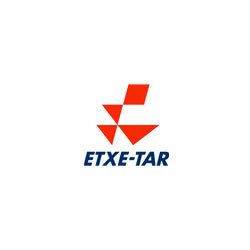 ETXE-TAR is a leading manufacturer of transfer machines in Spain, with sales and support offices worldwide. The AMT Machine Tool engineering group is an integral part of sales, support and servicing of these machines to Canadian industry.